The Acholi say, latin ki cwinyo pwony kii ba ddero (an orphan hears good advice from behind the granary). 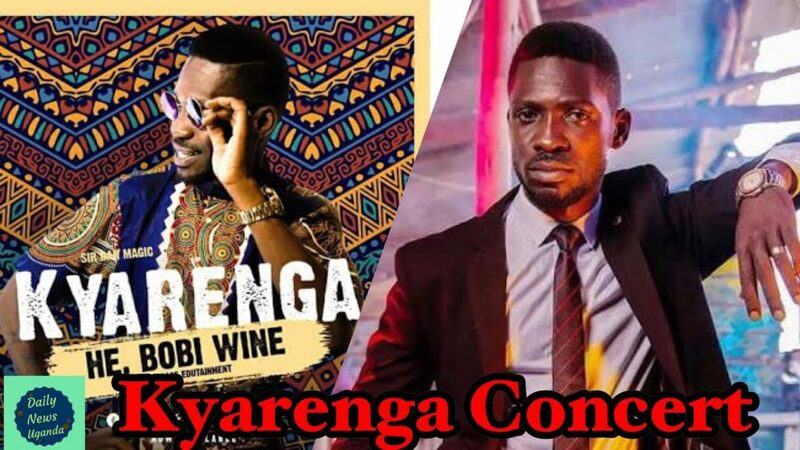 Honorable Bobi Wine, wherever you are, hear this and understand it unequivocally – kindly consider launching Kyarenga concert in 2022. By the look of things, all venues befitting such a hit song and your socio-political status are booked until then. Take this in good faith; no one is out there to fail your show. We are not that cowardly, and we are committed to ensuring the freedom of every Ugandan, including the freedom to access information about booked venues. Wedding booking. You said that as far you know, there was no wedding. It’s absurd that ‘a whole’ honorable can lie in broad daylight. Are you sure the wedding did not take place there? Did you check everywhere in the stadium? Did you check in the toilets? Did you check in the septic tanks? The wedding surely took place. But because we did not want your rowdy supporters to disrupt it, it was conducted via Skype, with the stadium acting as the control center. So, whereas the bride and groom were not physically in there, their images and of every other invited guest were playing live somewhere on a computer in the stadium. This is part of the technological advancement we have brought to Uganda, as people like you try to draw us back to the age of congested weddings. Then, in the hope that you understood, we agreed on moving your event to a later date. This time, it is FUFA that wrote in protest, in fear that your concert would degrade the pitch and thus make Uganda Cranes lose points in this international football match period. Mr. Grumpy, do you still want to say that was us? You are just unlucky, as you were in Arua. Anyway, because we care until it hurts and we wouldn’t want you to go through this again, this letter is mainly meant to advise you on booked venues so that you remove them from your next considerations. I will start on a positive note. The only places that I think will be available before 2021 are: One Love Beach in Busaabala, Kalangala playground, and Lake Mburo national park. Feel free to book them in advance. I am not quite sure of One Love Beach, though. We need to first check their tax records and whether there are no question marks on its land ownership. We are also concerned that the road that leads to that beach is not in a state that can sustain heavy traffic in this rainy season. Such a big concert being held there could lead to unnecessary inconveniences to other road users. They told us this happens every time there are shows at that beach, and surely it is our responsibility to protect them too. But that is on a light note. On a more serious note, we are planning to start grading that road soon. We are not sure of the time when we shall start, but any time from now. And when we start, we may not want disruptions from heavy traffic. We hope you do not choose a date that coincides with our planned start. Lugogo Cricket Oval could have been a good option. However, much of the grass there was damaged by revelers at the Tarrus Riley show. We have to allow it some time to grow, maybe three years. Besides, reminiscent of what happened to Bebe Cool at the Tarrus show, we do not think that place is safe for our artistes. We may only allow the show on condition that there will be no bottles and other ‘throwables.’ That means; no beers, no spirits, no sodas, no bottled water, no roasted meat, no shoes… For your own good! Kololo Ceremonial grounds would be an ideal alternative, given that you are looking for a big venue. One hiccup, though. After Bebe Cool’s show there, we realized that the place is not ideal for music shows. We cannot stage dance shows besides the graves of some of our former heads of state. That is to disturb the peace of our special dead. And in any case, we are reserving the place for the next presidential swearing-in. So, that venue is out. Wankulukuku stadium could as well do. I hope the Buganda clans football tournament is not still on. Our bigger concern, though, is that this stadium is not far from the Bakateyamba Home for the Disabled in Nalukolongo. We are very keen on the wellbeing of people with disabilities and may not allow any noise to inconvenience them. Lugogo Rugby grounds need no explanation. We all recall the bombings that happened there. We have received intelligence that terrorists are still waiting for the next opportunity of a big gathering there to attack. You may only be allowed to use that place if you can beef up your security, of which you will be required to bring about 200 sniffer dogs. That aside, the grounds have been booked for a pig race which will take place on a yet-to-be-set date. We shall announce it after you have chosen your next date, so as not to interrupt your own planning. Should the two coincide, though, the pig race was suggested earlier. And, after the pig race, we shall as well have a bazzukulu registration exercise there that might last six weekends. As I advised you earlier, take this advance notice in good faith and appreciate the brotherly spirit in which it comes. We wish you the best with your show. NOTE: These are not views of Flash Uganda media. It’s just a piece from someone else with an opinion. Sense the sarcasm.